Surprising Ecuadorian heard by several listeners in the Nordic countries during the good opening April 1-3. 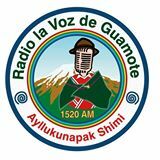 The station is transmitting from the city of Guamote which is the Capital of the Guamote canton in the Province of Chimborazo. The province has got it’s name from the “dead” volcano Chimborazo that reaches more than 6200 meters above sea level and is the highest mountain in Ecuador. La Voz de Guamote was heard with surprisingly strong signal on April 1, 2014 especially around 0330 UTC. Also heard on April 3. A nice FB confirmation arrived in a day. Definitely one of my best loggings from Ecuador was made on May 22, 2005 around 0130 UTC, just at sunrise in Finland, in the form of HCJA5 La Voz del Rio Tarqui, Cuenca. It is well known that late May and early June can be very good times for receptions especially towards Bolivia, but also towards Perú and Ecuador. My logging of La Voz del Rio Tarqui on 1290 maybe unique in Europe, but the stations has been logged occasionally earlier on the short wave bands. The probably first logging of the station in Finland was done by Timo Kajamaa in 1971 on 3395 in the 90 m.b. Jari Korhonen heard the station on the new frequency of 3286 in 1983 and the station was logged by several Scandinavian DX-ers on this frequency up to 1992 when it left the short wave bands. La Voz del Rio Tarqui was established in 1960 by Don Manuel Pulla. For me it turned out to be a long journey towards a confirmation of my AM report. Not surprisingly, the Master in accomplishing this was Henrik Klemetz (HK). Henrik had several contacts during September and October this year, both by phone and by emails, with the station’s Gerente General Rosa Maria Pulla, who also phoned Henrik at least once via Skype. All in all without Henrik’s determined help I would never have got a verification from La Voz del Rio Tarqui. Thanks Henrik and I hope to see Josefina, Ida Sofia and yourself in Borgå in January! Radio Monumental is quite often heard on 1510 but with terrible modulation, however. To get an ID is thus far from easy.I have some four hours of recordings of the station on different dates but only during ca 2 minutes of these four hours can you get some details. Yesterday I sent a f/up to the station and Franklin Chavez almost immediately answered with a short e-mail. This rare ecuadorian was heard in Lemmenjoki on October 22, 2011 during very good cx towards Colombia and Panamá. The station emerged for only som 15 seconds on a split slightly above 1240 and slightly below HJ-Buenaventura. 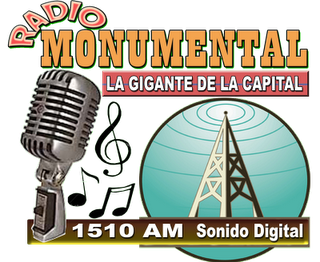 The ID was clear “Radio Monumental – la numero uno!”. Henrik Klemetz caught all the phone numbers prior to this ID and called the station. Aftersome more detective work HK got the contact details to the station owner Saulo Barros. I received the below email verification from Barros. Thanks Henrik for your invaluable help and gracias Don Barros! “Saludos cordiales desde Quito Ecuador. Mucho agradezco su reporte desde Finlandia, nos emociona saber que podemos contactar desde tan lejos con Alguien que tiene nuestra misma pasión por la Radiodifusuion. 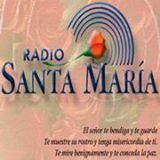 Radio Metropolitana opera desde Yaruqui un pequeño poblado a 45 minutos de Quito la capital del Ecuador, nuestro transmisor es de marca Quasar de Chile de 1500 watios, actualmente con 1233 watios este equipo esta 1año y medio al aire. Soy medico dueño de la radio, provengo de una familia que se dedica a la radiodifusión aqui en Ecuador, tanto en AM como FM. Agradezco por su tiempo para escucharnos y escribir el Mail. Me gustaría tener sus números telefónicos para algún momento llamarle, favor confirme su dirección postal para hacerle llegar una carta.